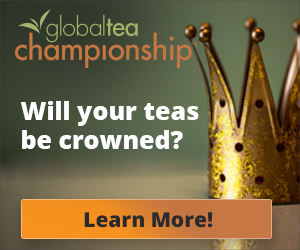 Tea is very much a personal choice, obviously, and all tea lovers have their individual favorites, equally obviously. What is less self-evident is how much our choices are influenced by age and aging. Tea is a lifetime drink and as our life moves on and times change, so do our preferences and needs. 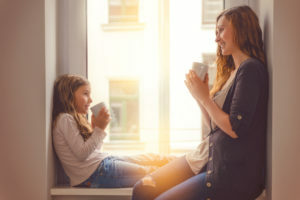 And what about your own impacts on serving tea or giving gifts to your family: your new baby, perhaps, or third-grader, or your responsibility for one of the mysterious spirits called teens (on good days), or your elderly parents? Maybe serving mom the kombucha you rave about isn’t a great idea. She might like the Assam more than she expected. Biology: As we age, we lose much of our sense of aroma and taste. The 10-15,000 or so taste buds in our “prime of life” drop to 7,000. That explains why younger tea lovers look for flowery aromas and lighter flavors while the elderly favor full-tasting and spicy teas. 40% of Britons in the 25-34 age range report (2017) that they drink 5-6 different types of tea monthly, compared to 3% for those over 55. Their routines are marked by flavor-driven exploration; those of older age groups are centered on familiar taste and habit. Children can identify blended foods just by smell. The middle-aged and elderly lack this “olfactory discrimination.” That translates to a leaning towards vegetal greens and favored teas among the young and blacks with body for the elders. Nutrition: What we drink at different ages reflects what needs our bodies signal us. Around 20% of calories come from the beverages we drink. Most of our Vitamin C and D and calcium intake is through beverages, not food: The impacts of nutritional needs on beverage preferences are subtle. One finding is that more than 40% of Millennials, loosely defined as more than young and not yet middle-aged 25-35 or thereabouts – see protein as important to supporting their health, as well as liking its satiety. Plain tea has little impact on protein absorption. So, even where it appeals to health-conscious Millennials, it’s not the choice for fitness-devotees. They want muscle milk not gunpowder green and matcha collagen not sencha. Dining: Traditional tea drinking, especially in the UK and India, has been at home. 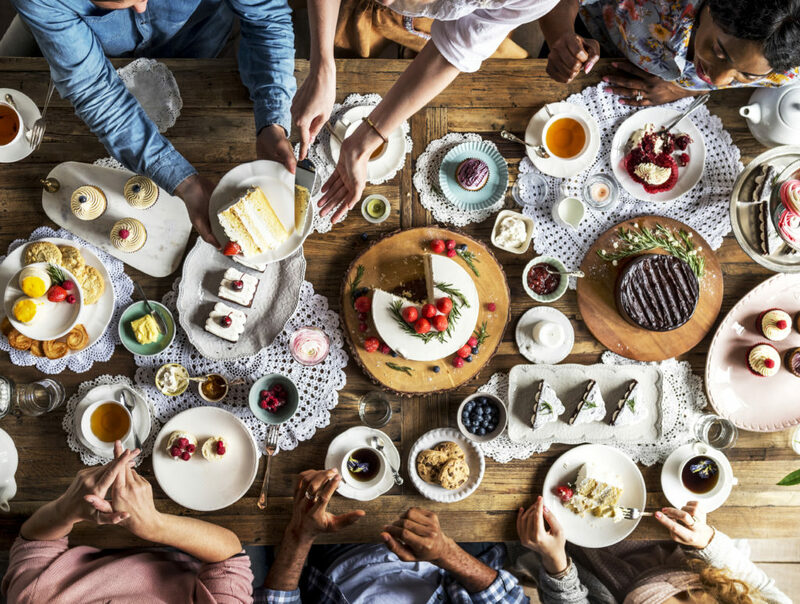 In many areas of the world, daily work and social routines are changing rapidly, encouraging a new and far-reaching fusion of dining and tea drinking and search for variety. Younger age groups are very much “foodies” and that makes their choice of beverages a part of their menu not an accompaniment to it. 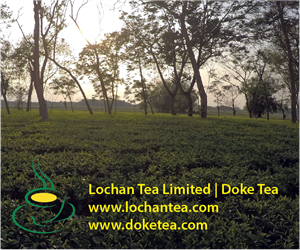 Where tea is drunk increasingly determines what tea. The 20% drop in tea consumption in the UK over the past decade correlates directly with the transformative rise of such coffee chains as Costa. Age groups vary widely in the where/what tea in/out of home preferences. Very roughly, choices of tea drank in the home are for reliable, familiar and traditional teas; out of the home, they are for some combination of flavor, variety, surprises, new experiences and food. Here are snapshots of the six age groups where these differences are apparent. They may be helpful to you in expanding your own space of exploration and experiment. What do you personally look for in a tea? Where is this age-related and what other teas does it point you to? And, perhaps most useful, where are you getting less satisfied with your regular ones? Maybe, it’s time to change – or rather time is changing you. You may be surprised by how many mothers feed their babies tea. The FDA was, in 2016, when a study showed that 9% supplied their infants with herbal and botanical drinks, mostly to ease colic, constipation and nausea. The agency published cautions to physicians: avoid star anise, be careful with peppermint (high levels of methanol in its processing are dangerous) and take care that chamomile teas come from a trusted supplier who ensures they are not contaminated. Be aware that tea interferes with iron absorption and puts infants at risk of anemia. Chamomile is the safest of the ingredients. There are many infant teas on the market. Kindertee is the German staple that is routinely given to infants to calm them and to mothers in hospital to feed their babies. Babies also “drink” tea indirectly through their mothers. Caffeine is a danger here. The mother passes it on to her baby since it easily penetrates the placenta’s membrane. That means that the infant can infuse more caffeine in relation to its size that its mother does. Newborns have a shorter metabolism cycle so that caffeine passes through their bloodstream quickly, making it risky for hyperactive infants. 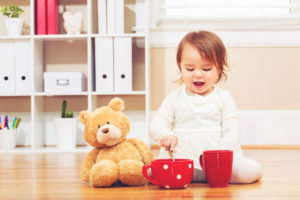 Tea is safe for even three-year-olds, though there are many differences in cultural norms. In Ireland, for instance, weak black tea with plenty of milk has long been served from the family teapot to all the children. 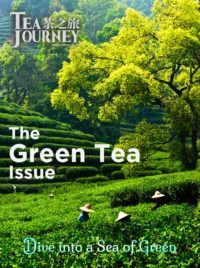 Green tea is more common but there is a growth in tasty fruit-flavored herbals that appeal to children as an alternative to fruit juice. Caffeinated tea is often used to pep up listless kids – avoid giving it to hyperactive ones, of course. There’s a consensus in the medical literature that caffeine is safe for 10-year-olds and up. Green teas are safest. In Japan, they are part of children’s regular diet. Bedtime herbal teas to aid sleepiness are safe for 2-year-olds. However, there are warnings of varying severity and scientific backing about risks of herbal ingredients, with the advice not to serve children a beverage that you don’t understand in terms of its chemistry. A distinguishing characteristic of young adults that has reshaped the tea market is that they are the segment most likely to avoid tea, because it is bitter. They look for sweetness without sugar. They don’t go to tea houses but frequent casual dining eateries and convenience locations. They are also caffeine-seekers. This is most obvious among college students. One of the fastest growing social gathering places for them is on-campus coffee shops and takeouts. They are aware of the downside of heavy caffeine consumption but want it for times of homework, exams and socializing. Half those surveyed consume at least one energy drink monthly. They drink coffee rather than tea, up from being their main beverage among 12% in 2012 to 39% in 2019. They eat and drink on the go. That rules out loose leaf tea. Bubble tea is an intriguing innovation led by the young, with easily overlooked general characteristics. The growing variety of toppings means that it can be whatever flavor and amount of caffeine, sugar, fruit and dairy that you want. It is very much a socially-centered draw for the young: a trendy place to meet and a trendy drink to try. This openness to the unusual and different is very much extended to urban millennials, with a wide range of new bars, pubs, restaurants and casual dining locations serving a wide range of new beverages. This age group gets plenty of attention and generates a lot of hype. “It’s the Millennials’ world and everyone else is lucky to be in it… fiercely brand loyal, seeking value, convenience and authenticity.” And so on. They are elusive to summarize. There are so many factors affecting their personal choices. What stands out is less their common demographics but their disposable income. An unmarried 24-year-old earning $70,00 a year with a gym membership makes different drink and food choices from – well, change any one of the descriptors. By and large, the Millennial age group, especially in Asia, has more income and more choices than their parents’ generation. 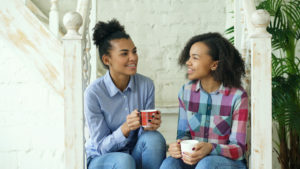 Millennials are pivotal in stemming the erosion of traditional black tea markets and create radical shifts in every area of product and service. They can move a market significantly – what they switch to also affects what they move away from. Their purchases of smoothies, RTDs and energy drinks grew by 170% between 2009 and 2016. 64% now drink them regularly. Millennials who included iced tea in their choices dropped from 23% to 18% in just the following two years. One assumption that runs through most analyses is perhaps the most critical for the specialty tea market, sports and gourmet dining segments: they are information-seekers, looking for authenticity and transparency in suppliers and knowledgeable about health issues in their nutrition. 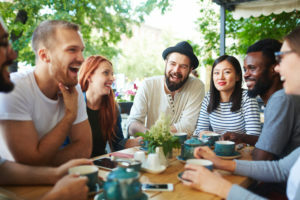 This is absolutely in sync with the opinions of specialty tea providers: millennials are marked by aggressive curiosity and skilled retailers, online sellers, stores and drink and food establishments attract them by offering information, education and experience. Millennials will follow the one reliable prediction in life. Every year, they will become exactly one year older; that is certainty and everything else conjecture. At some point, they will be middle-aged. We can have no idea of just how many of their millennial traits will transfer or how much lifestyle and biology with move them more in the direction of today’s 40-50 group. Historically, this age group was the most likely to frequent traditional tea houses, enjoy high tea with all its trappings. It is very much the English tradition: Early Grey and English Breakfast. High tea with scones and jam – young adults have probably never seen a scone. Black tea remains the dominant preference. 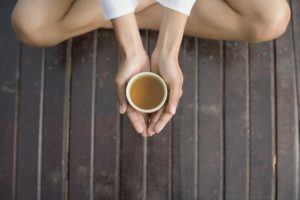 They are sensitive to the perceived (though not necessarily accurate) contributions of tea to wellness, especially green teas for weight control, detox teas, and disease prevention. They tend not to be information-seekers to the extent that Millennials are and most of their choices are based on habit, familiarity and comfort. This is the age group most concerned about caffeine intake and likely to male herbal blends their main choice. The older generation is not a primary target for innovation in the beverage industry in general. Research shows many missed opportunities here. 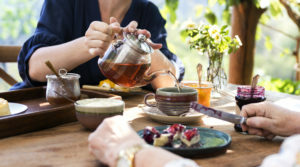 Tea helps women reduce cognitive decline in old age, according to a study of over 5,000 Medicare-eligible US residents, with follow-up profiling and exhaustive testing carried out for nine years. The sample population included non- and heavy tea drinkers. One side finding from the study is that there is little switching of drinks among the elderly. 73% of those who didn’t drink tea remained non-consumers six years later. The same applied to coffee drinkers. More men drank coffee rather than tea than among women. Tea drinkers tended to have healthier eating habits. 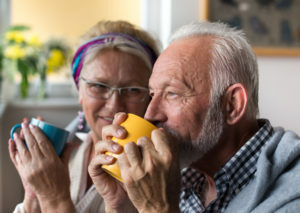 Caffeine seemed to reduce cognitive decline by a small amount, reflecting perhaps its contribution to alertness, concentration and psychomotor performance. As we age, the loss of taste buds and sensitivity to small variations in aroma and flavor leads to a growing sweet tooth, increase in salt intake and a frequent fondness for spicy foods. Black teas offer more than subtle, vegetal greens: malty, earthy, tippy, brisk, nutty, sweet and savory fullness. Tea is inexhaustible in its variety and impacts: social, biological, experiential, nutritional, medical, sensory, and gustatory – and generational. Every age group offers something special as an opportunity for providers and every combination of ambiance and product offers special dimensions of value and enjoyment that move with the rhythms of life’s stages. There is no one “best” tea, but always one for you, at your age. Great info – especially the epigenisis vs. antioxidant info.